No remodel is complete without a fresh new look for the home’s bathrooms. Whether your client has luxury in mind or a simple, yet tasteful, redesign, we are here to help. Our talented staff offers personalized suggestions to trade professionals for bathroom remodels. 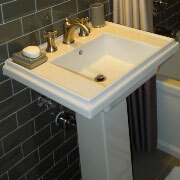 From stunning basins to modern slab sinks, the bathroom sink has come a long way in both design and material options. Here at ProSource of Houston-Katy, we are equipped to help trade professionals find the right fit for their bathroom remodel vision. No sink is complete without the perfectly paired faucet. 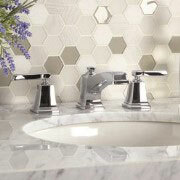 From the handle type to the water flow, we can help you navigate our wide selection of bathroom sink faucets. Pick something to match any style, budget, and design need. Choosing the right shower is far more complex than simply picking the basic design. Whether you opt to design your client’s shower or you choose to send your clients our way to browse our extensive selection, we can help with the specific details of the purchase. From functionality to design, we have you covered. 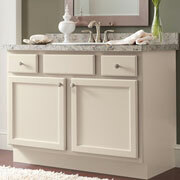 When your client is looking for extra storage without sacrificing bathroom space, a vanity can be the perfect solution. We offer an array of vanity choices. From luxury vanities with stunning lighting to simple and tasteful traditional vanities, ProSource of Houston-Katy provides the options you need. Perhaps nothing is better than sinking into a comfortable, deep tub at the end of a long day. 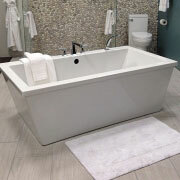 Help bring your client’s vision to life with a beautiful tub to accompany their bathroom remodel. While perhaps not as celebrated as other bathroom elements, the toilet offers more than functionality in any bathroom remodel. Help your clients say goodbye to water wasting, handle jiggling toilets of old. 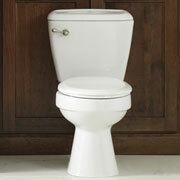 Update the bathroom’s appearance with a stunning and water-efficient toilet.